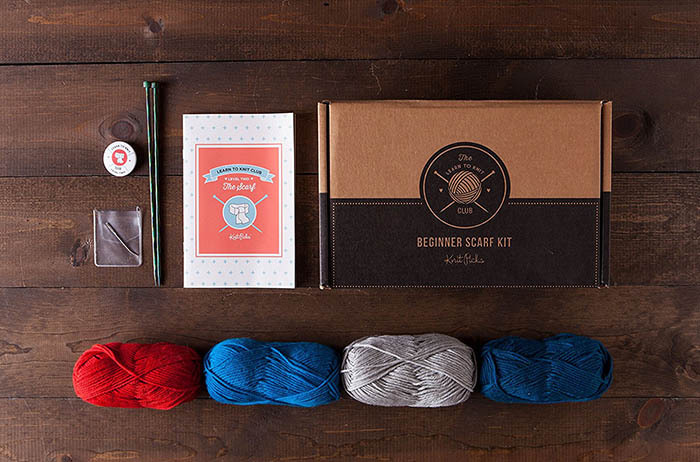 These 7 DIY kits cover everything from t-shirt printing to knitting. They’re a great way to learn a new skill! 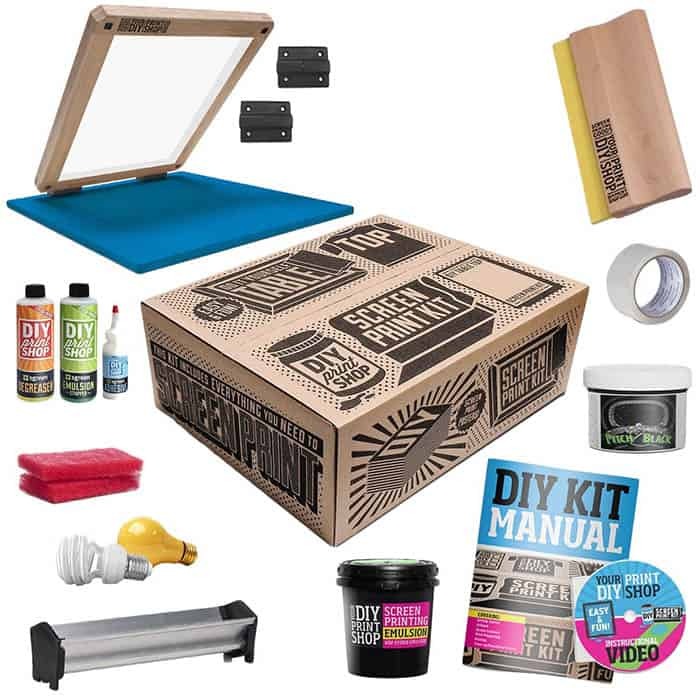 This kit contains everything you need to start screen printing. You can print custom images on everything from t-shirts to onesies to tote bags with this one kit. DIY beauty products are really popular with bath bombs coming in at the top of the list. 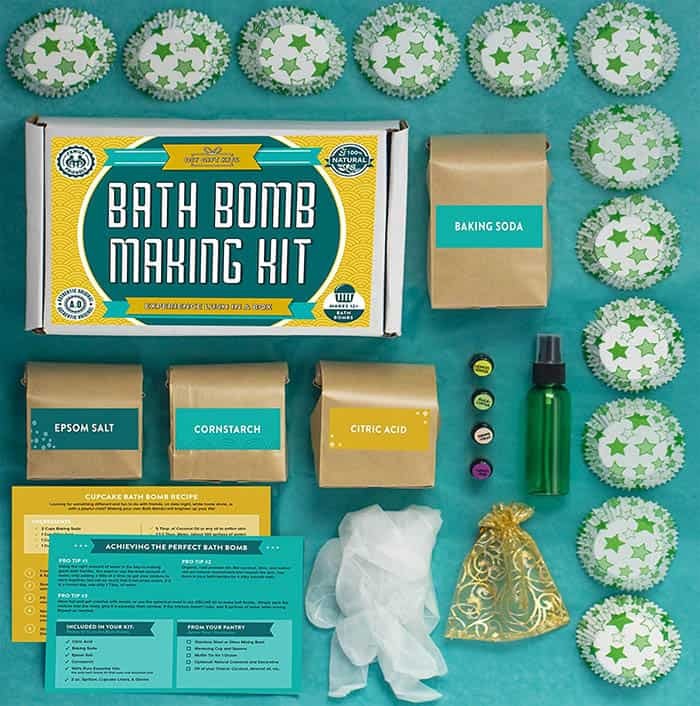 This DIY kit is beautifully packaged and it takes all the guesswork out of making your own bath bombs. It comes with 100% pure essential oils so you can experience the real benefits of aromatherapy. 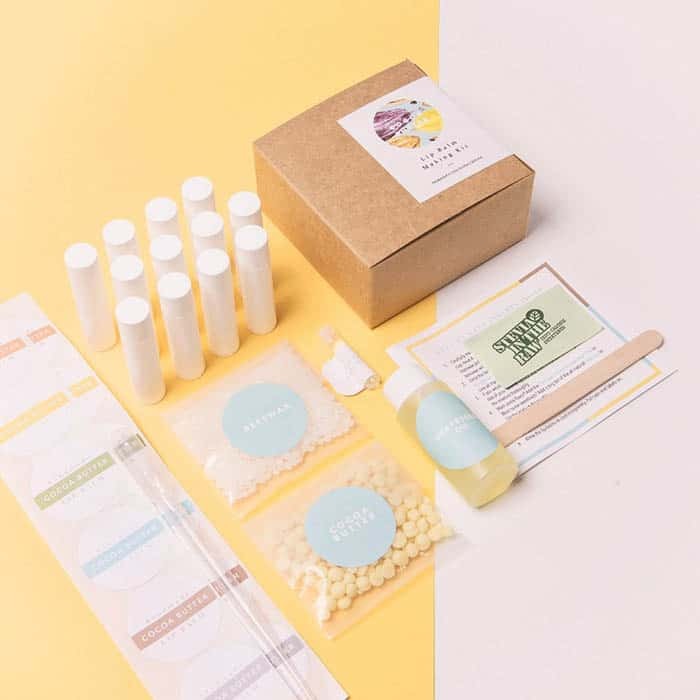 This lip balm making kit is 100% natural and it contains no artificial scents, ingredients or vegetable oil fillers. 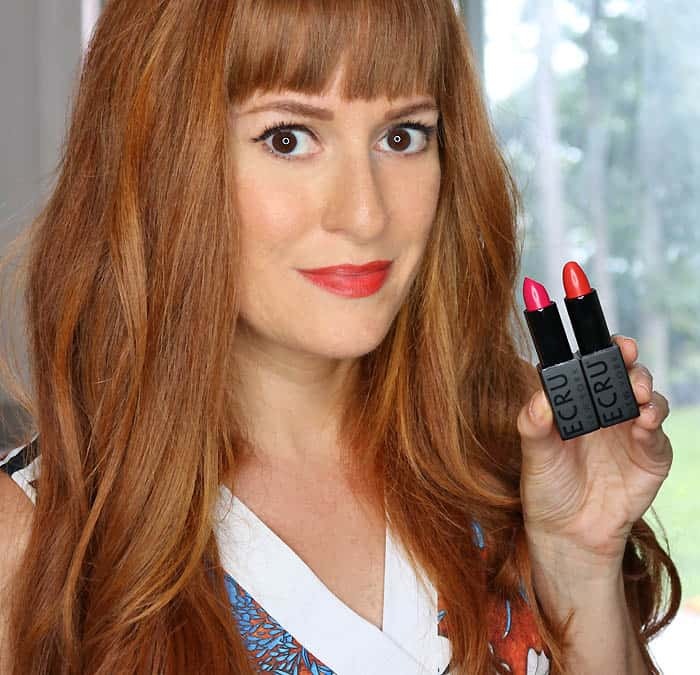 The lip balms are made with Grape Seed Oil, Cocoa Butter and Beeswax. Like the other kits, this comes with full instructions and it makes a great stocking stuffer! 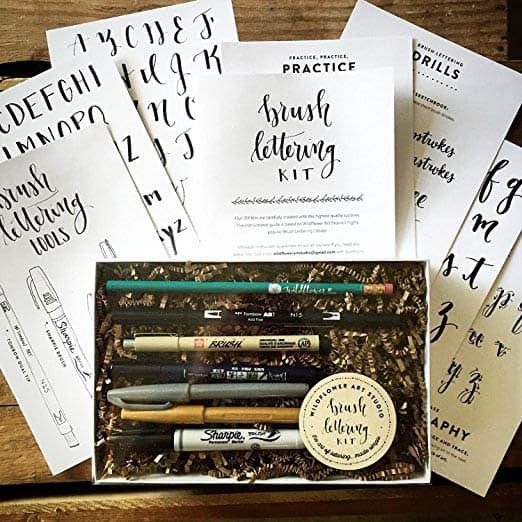 This kit is geared towards beginners and it shows you the basics of brush lettering. This style of writing is so pretty. I just bought this and hopefully I can learn it in time to address my Christmas cards! Watercolor art is everywhere right now. 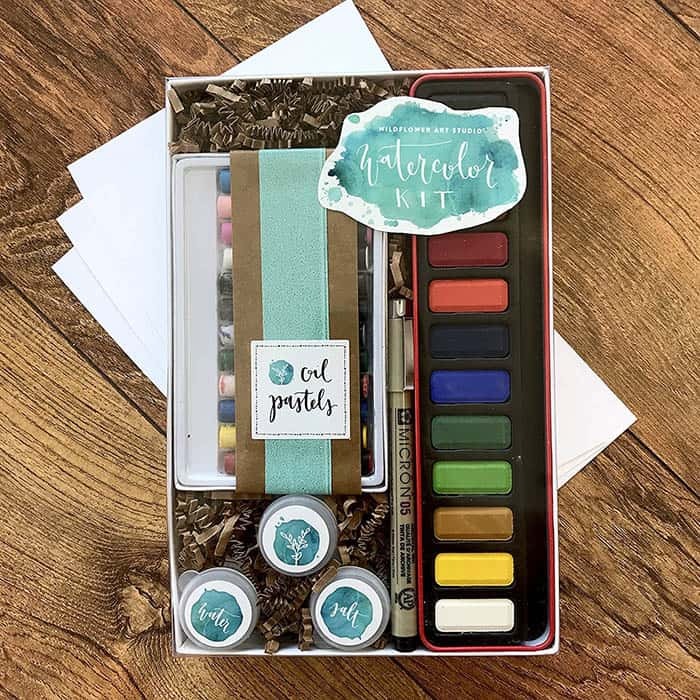 This kit contains 5 projects that are designed for beginners as well as high quality paints and brushes. This DIY kit will show you how to easily create wall hangings. The design is clever- the pegs can be moved to create shapes (like circles) wich aren’t easily made on regular weavers. 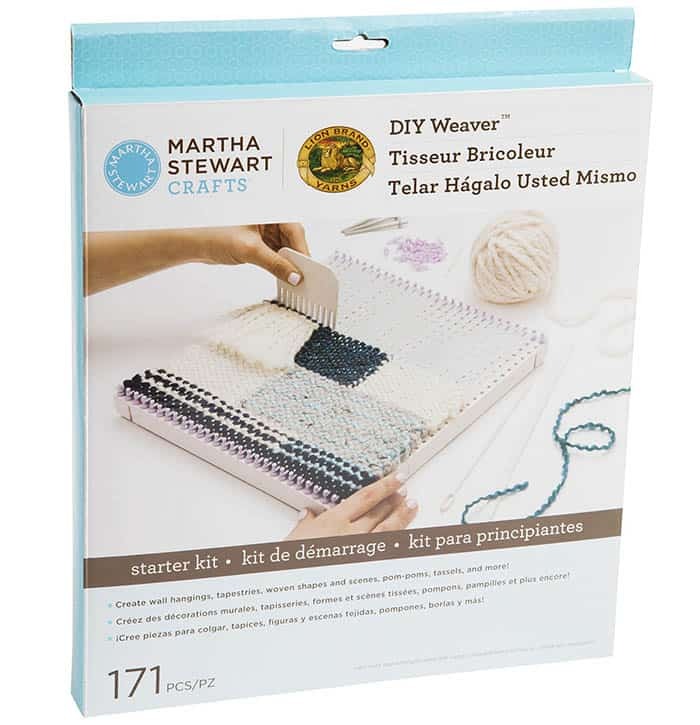 This kit will get you knitting in no time! It has full instructions with pictures to make a pretty, colorblock scarf.